Murder by Gaslight: A House Divided. Tensions in the Ware household outside of Berlin, New Jersey, were near the breaking point. 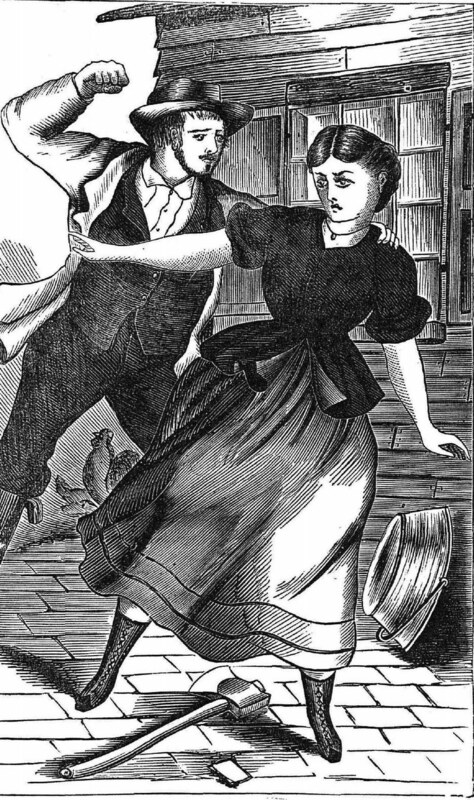 On August 16, 1870 they snapped, when a dispute over a milk pan turned mother against daughter, brother against sister, and drove John C. Ware to turn a shotgun on his father. The highly dysfunctional Ware family owned a four bedroom house in the country, about three miles from the town of Berlin, New Jersey. In August 1870 the household consisted of John A. Ware and his wife Louisa Ware, their daughter Patience with her husband and baby, their son John C. Ware, and a boarder named Mrs. Mary Ann White (aka Mrs. Champion). John A. Ware was a man of irascible temperament, taking every opportunity to verbally abuse his wife and threaten her with violence. The household was in a perpetual state of discord, with son John C. Ware most often siding with his mother and daughter Patience siding with her father. Mrs. White, who was estranged from her husband, Lemuel Champion, tried to stay neutral but was inclined to favor Mr. Ware. She had been invited by him to stay at the house as a companion for his wife, but Mrs. Ware could not stand Mrs. White. Twenty-three year old John C. Ware was described as “weak-minded.” He was illiterate, having never been to school or church, and he had his father ill temper. Four years earlier John had married Prudence Simpkins, but they no longer lived together. There were allegations of abuse. John A. Ware awoke early the morning of August 16, 1870 and he wanted breakfast. He called his wife from the door saying, “Old woman, get up.” She went downstairs to the kitchen and he ordered her to strain some milk. He wanted pancakes but there was no flour in the house, so Mr. Ware left the house and went to buy some at a shop kept by his neighbors, the Piersons..
Patience came into the kitchen and saw her mother straining milk into a pan that she believed belonged to her. She told her mother that if she did not empty the pan she would take the pan herself and throw the milk outdoors. At this point John C. Ware came into the kitchen and took his mother’s side in the argument. John and Patience then resumed a disagreement had they started the day before, the argument growing in intensity until John struck his sister. Patience’s husband, George Williams, then joined the fray. He and John began fighting. Williams got away from Ware and took his wife and baby from the house. As they were leaving, he told Ware he was going to get a State’s warrant against him. Ware threw bricks at his sister and brother-in-law. As they ran from the property, Ware grabbed a loaded shotgun that his father kept for hunting, and began shooting at them. John A. Ware returned from the store in a particularly foul mood. He said that Mrs. Pierson had told him that she had sold his wife some poison and he believed she meant to kill him. He started shouting at his wife, accusing her of infidelity, then holding a two foot long iron bolt, threatened to split her head open. Mrs. Ware ran from the house crying. 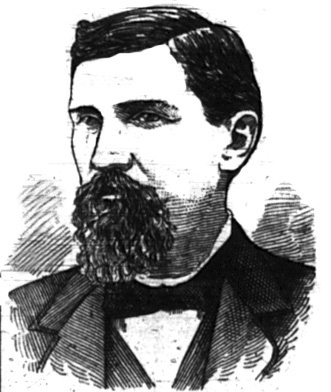 After witnessing the fight between his parents, John C. Ware reloaded the shotgun. He met his father outside and pointed the gun at him. “Are you going to shoot your poor old father?” the old man said. The father said he would give his son money as soon as he finished chopping wood for him. John C. Ware’s response was to fire the shotgun at his father’s chest. He started to run away, then went back to his father’s body, rolled it over and looked through his pockets. He left with his father’s pocketbook. The crime was soon reported and the police began a manhunt for John C. Ware. He was captured by a County constable as he tried to board the ferry in Camden, New Jersey. After his capture Ware admitted to killing his father because of the abuse he gave his mother. At John Ware’s trial each member of the household testified to what happened that day and the disagreements continued. Trying to prove premeditation, the prosecution called several witnesses who had heard John Ware say that he planned to kill his father. Charles Harper, an orphaned grandson of John A. Ware had talked to John C. Ware the Monday before the murder. 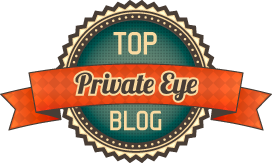 John C. Ware had told him that he would kill the old man if he did not give him some money. Mary Ann Champion testified that John A. Ware was afraid that his son meant to kill him. He gave her a purse with hundred dollars and told her to give it to Patience if he was murdered. She said she had taken it back to her husband’s house and he stole half of it. The defense attempted to prove that their client was insane when he murdered his father. John C. Ware, who everyone agreed was weak-minded, had tried to commit suicide twice. Once when still living with his wife he had cut a piece of clothesline and gone into the woods to hang himself. Another time, after a disagreement with his mother over money, he drank two bottles of laudanum and very nearly died. Several doctors testified that John Ware’s behavior was more indicative of “mental monomania” than premeditation. The jury was not convinced. After a brief deliberation the found John C. Ware guilty of first degree murder. The defense successfully appealed the case on the grounds that the testimony of Lemuel Champion was improperly excluded. 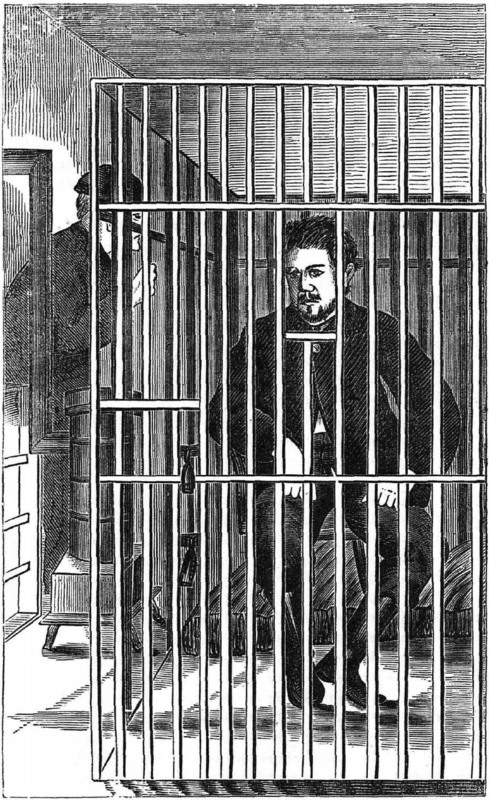 John Ware’s second trial commenced in the second week of October 1871. The verdict of that trial was, once again, guilty of first degree murder. Ware was sentenced to hang on December 15. Verdicts: 1. Guilty of first degree murder, overturned, 2. Guilty of first degree murder. In spite of pleas from his wife and others concerned for John Ware’s soul, he would not repent or ask for God’s forgiveness. John Ware’s refusal to “look up to Jesus” troubled Sheriff Fredericks even more than the execution itself. “Won’t you promise me to repent? I can’t see you die this way.” Said the Sheriff. “I promise not,” said John, emphatically. At eighteen minutes past eleven o’clock, Sheriff Fredericks raised the hatchet and let it fall, cutting the rope holding a 300 pound weight. The falling weight pulled a rope around Ware’s neck, jerking him upward and breaking his neck. 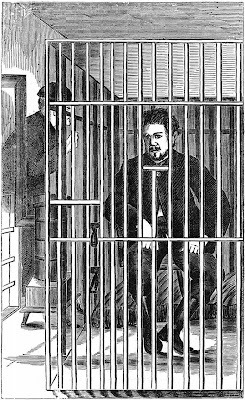 Before the execution John Ware had made arrangements for his body to be handed over to Professor Duffie, a professor of surgery at the Philadelphia University. His hope was to be reanimated by men of science, with only a few minutes elapsing between his death and his resurrection. But Ware’s wife opposed this and abiding by her wishes, Sheriff Fredericks handed the body over to Ware’s friends who took it to the village of Berlin Cross Roads for burial. Ware, John. 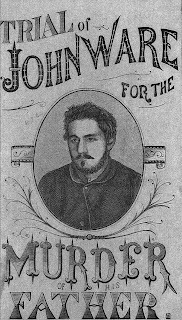 Life, Trial, Confession and Conviction of John Ware, for The Murder Of His Father, Near Berlin, Camden County, New Jersey . Philadelphia: Barclay Pub. House, 1871. I wonder what would have happened if he had been given to the professor. Would Ware have been executed again if revived? I'll guess we'll never know. I am glad he was not revived, he had suffered enough. This has such a strong suspicion of violence and child abuse to it, and if it was so, in todays courts it might be seen as justifiable. I am not sure that abuse was recognized in the 1800's, or if it was, maybe it was considered inconsequential. For all the problems, many things are better in our times, I think.